Still catching some nice reds and snook even with the fluctuating barometer, cold fronts and some high winds. With North winds blowing the water out of the backcountry fishing creeks and rivers are the best bet to hook up. Bill Nevins from Naples Florida had to endure 25mph winds all day but still managed a backwater slam....redfish,snook,and trout. Water temp did hit 70 which helped. Tripletail fly fishing is very good right now if we can get out on the beach...fish to 20lbs reported.... There are also Kingfish being caught and some Blackfin tuna out about 10 miles. 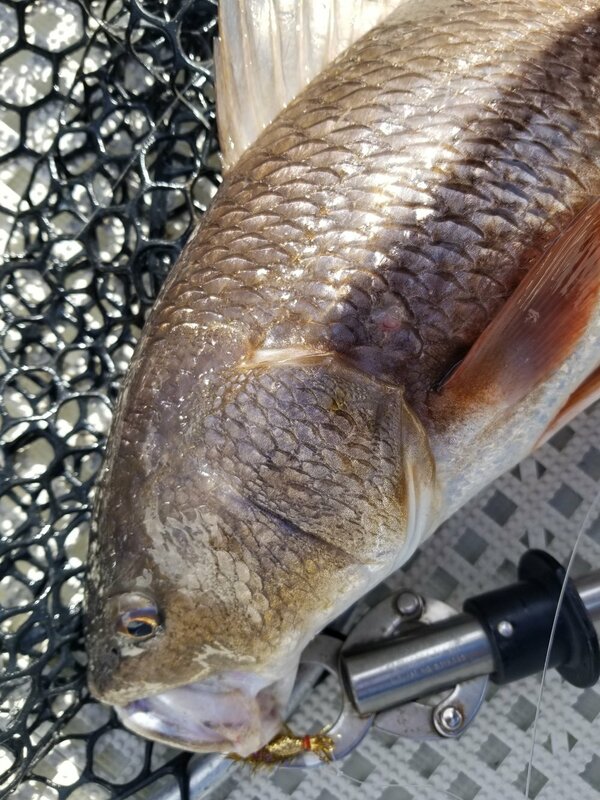 Sightfishing for Redfish has been consistently good poling Mangrove shorelines in the backcountry. On average anglers are getting close to a dozen shots a day at quality fish. Snook are still taking slow moving baitfish patterns and well as trout. The scenic pictures give you an idea of the water we fish for REds...the birds are wading at low tide...one hour passes, and we wade those flats for "Tailing Reds"
Charter dates still available in December.